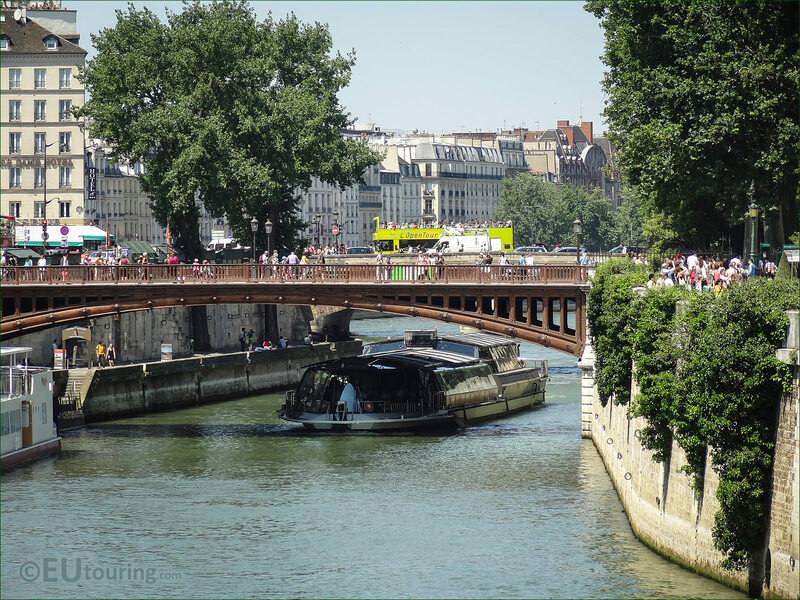 This time we were visiting the 4th Arrondissement in Paris when we took these HD photographs of the Pont au Double, which is a single arch pedestrian bridge built in the 1800s that crosses over the River Seine from Quai de Montebello to the Ile de la Cite Island right next to Notre Dame Cathedral. 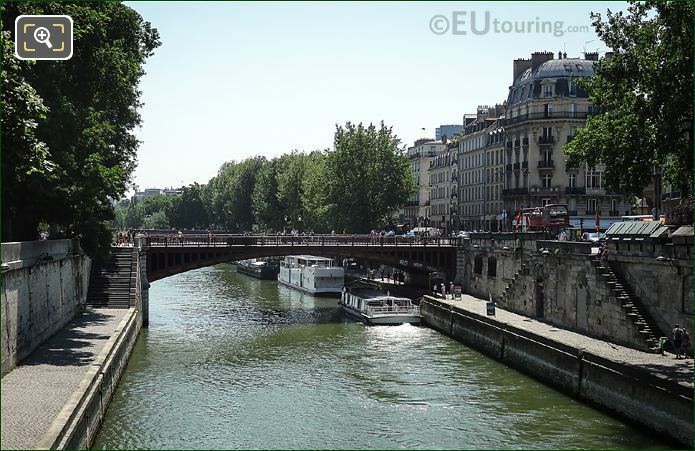 We took this photo of the Pont au Double, which is a cast iron bridge that was constructed in 1882 in one single span going over the small branch of the River Seine, and it is only used for cyclists and pedestrians that wish to get to and from the Ile de la Cite over to the historical Latin Quarter, which is to the right of this image. 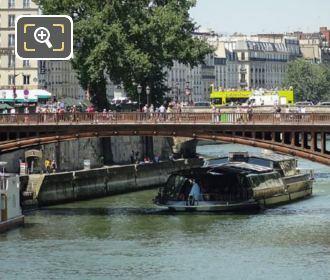 The Pont au Double is a historical bridge in Paris and has retained its name from when a bridge connecting the left bank of the river to the hospital on the island that was constructed, yet a toll was put in place of a double farthing, and this is where the name originated from in the 1600s, even though this bridge you can see today, like in the photo above, only dates from the late 1800s. This is a photo we took looking upstream of the River Seine towards the west side of Pont au Double, which connects from the Ile de la Cite island to the left bank at Quai de Montebello, which is where we were standing when we took this picture and its incredible view towards the Notre Dame cathedral that sits next to the bridge. 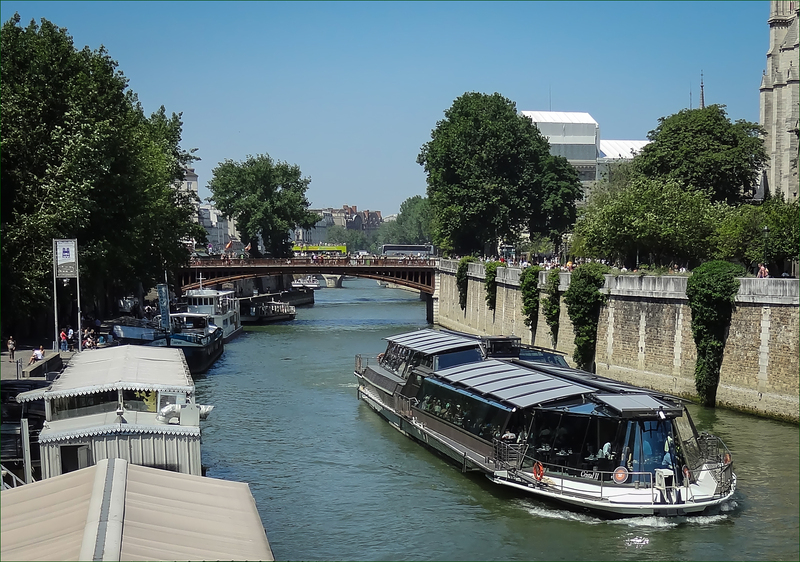 While we were standing on the Pont de l'Archeveche we took this photo looking downstream of the river towards the Pont au Double, that a sightseeing cruise boat had just passed underneath, which you can also see in this image, and called the Cristal II, it is owned by the Bateaux Parisiens company who provide cruises on the River Seine. 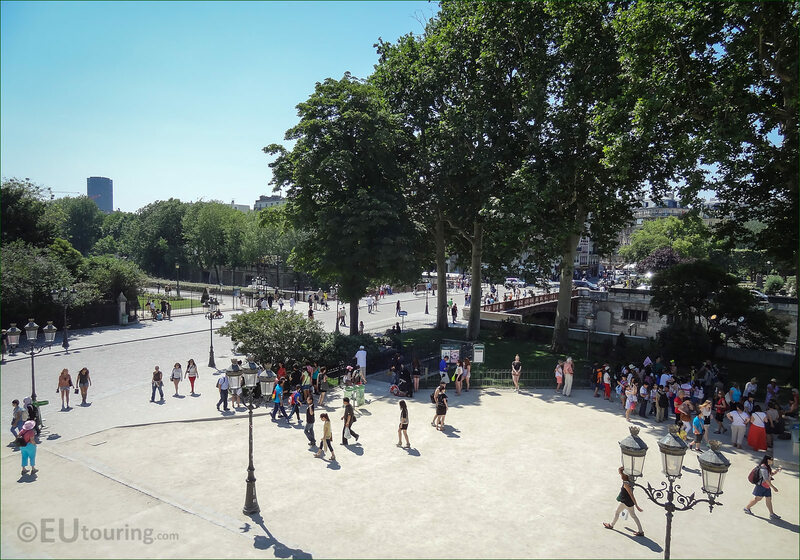 While we were in the square called the Parvis Notre Dame - Place Jean Paul III, close to the Point Zero where all routes throughout France are calculated, we took this aerial photo looking between the trees towards the Pont au Double, which is a bridge now classed as a historical monument in Paris. 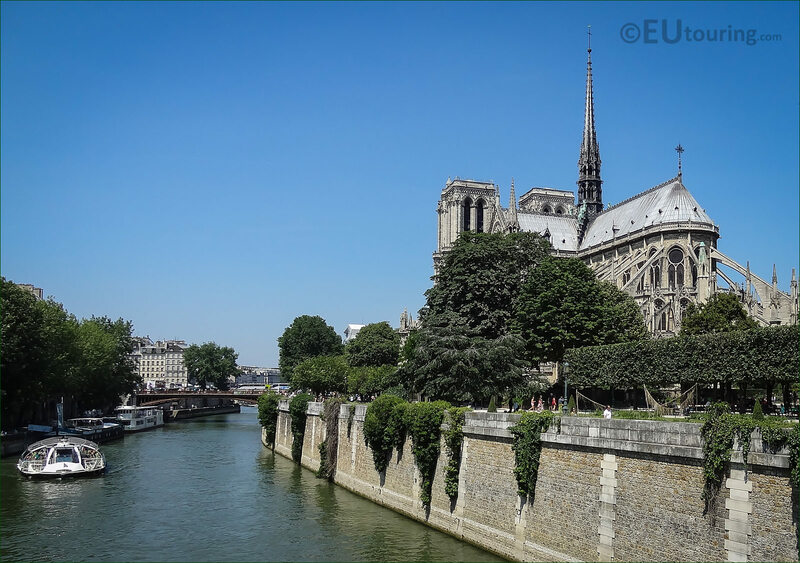 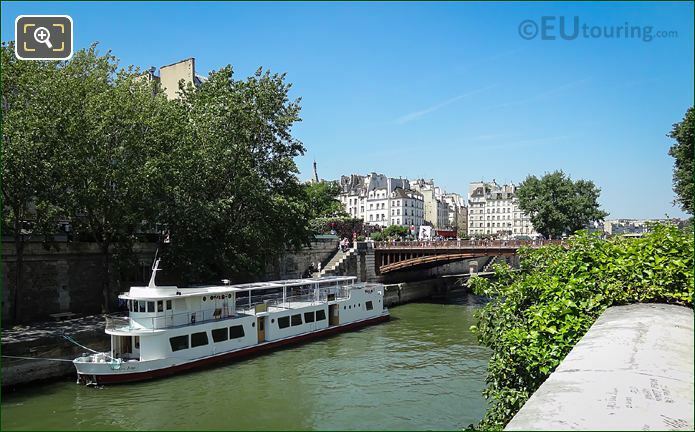 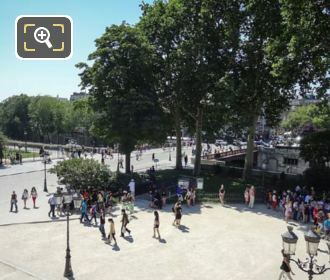 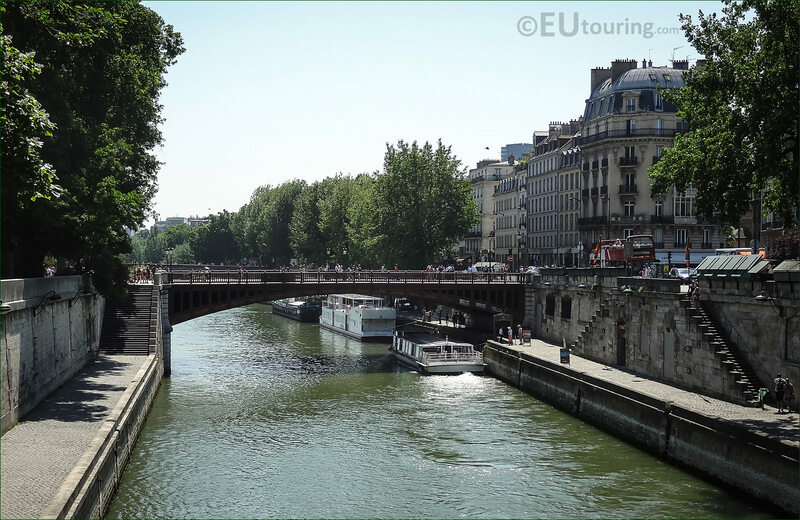 While we were standing on the Ile de la Cite on the south side of the Island within the Square Jean XXIII, we took this photograph looking at the smaller branch of the River Seine towards the Pont au Double as it connects to Quai de Montebello that you can see to the left of the image. 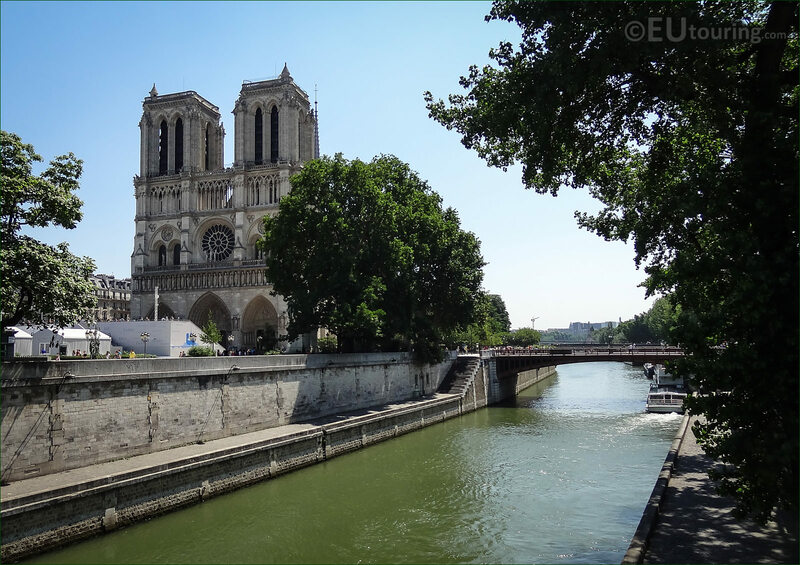 The majestic and magnificent architecture of Notre Dame Cathedral cannot fail but to impress virtually everyone, especially considering it is over 800 years old, yet there are also numerous other historical monuments that you can discover, just like the Pont au Double bridge over the River Seine that you can see in this photo, with its own history dating back well over 300 years. 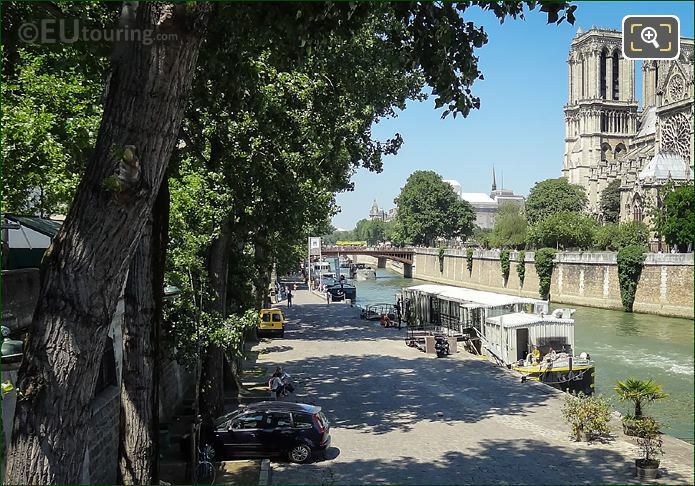 We took this photograph looking down the side of the River Seine along Quai de Montebello towards the east side of the Pont au Double pedestrian bridge, which is located between the 5th Arrondissement (to the left of the image) and 4th Arrondissement (to the right of the image) in Paris.